V&A Jewellery - 'Pugin' range - a headband, brooch and necklace designed by Augustus Pugin in 1848 were the inspiration behind this quintessentially English range of jewellery. (He designed the pieces for his third wife: no woman was considered socially acceptable without a complete wardrobe of jewellery.) 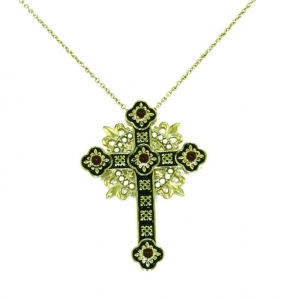 This cross is made in silver (11.1 gms) and gold-plated with 5 garnet cabochons and 16 fresh water pearls. The chain is gold-plated silver, 40-45 cms long. 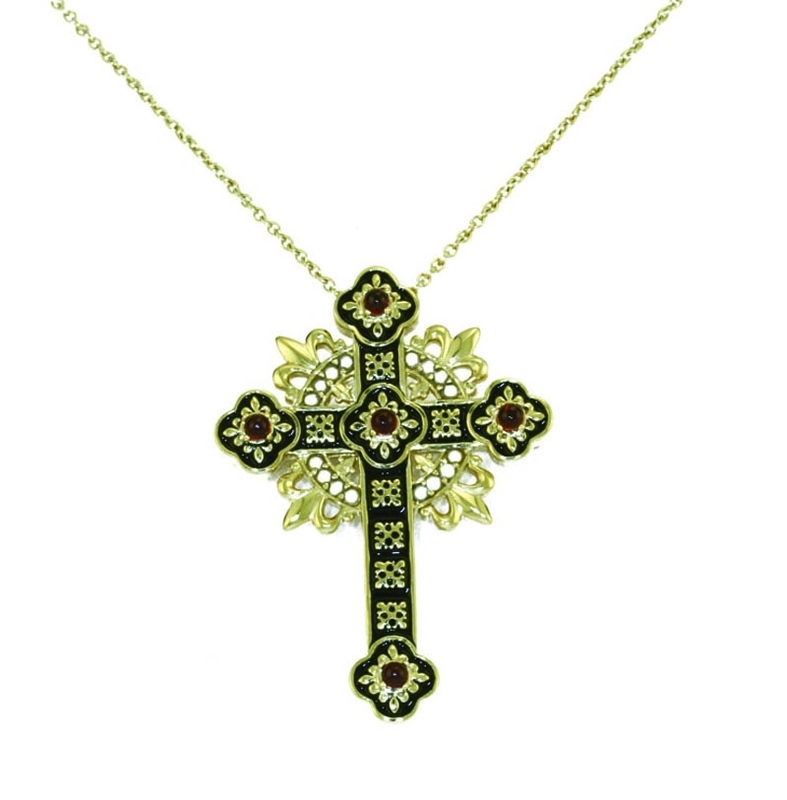 V&A Jewellery - Pugin' range - a headband, brooch and necklace designed by Augustus Pugin in 1848 were the inspiration behind this quintessentially English range of jewellery.